Time To Stock Up! Planet Earth Has Less Water Than We Think! As a child, you are told a lot of things about this great planet of ours. We are the third of nine planets in the Solar System (now eight and one dwarf planet), Mount Everest is the tallest mountain on the planet, and the Earth’s surface is 70% water. With a figure like that, it’s easy to assume that water is pretty much an infinite resource. However, according to the U. S. Geological Survey, if you were to take all of the water on the planet (including fresh water, sea water, ground water, water vapor and water inside our bodies), it would only make a sphere 860 miles in diameter. 860 miles!? You can drive that in a day – it’s about the distance from Salt Lake City to Topeka, Kansas. This shocking fact, which states that all the water on Earth is less than a third the volume size of the Moon, means we are going to have to do everything we can do make sure we don’t waste our most precious resource. The U.S. Geological Survey’s results also reveals that the fresh water on Earth is only a shocking 2.5% of that total. If that water was to be collected into a sphere, it would be less than 100 miles across. 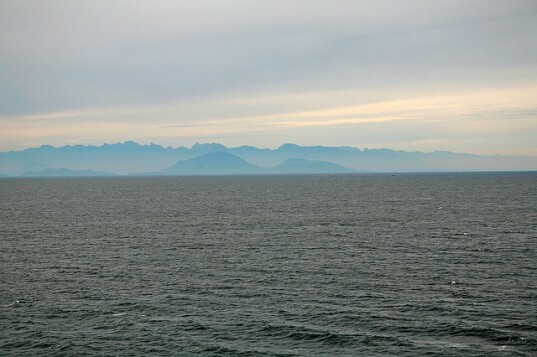 While we may look out over the ocean and think the water goes on forever, it is estimated that a large amount is underground. In fact, when it comes to Earth’s fresh water supply, most of it is beneath the surface — about 2 million cubic miles (8.4 million cubic km). Not just that, but over 7 million cubic miles (29.2 cubic km) is in the ice sheets that cover Antarctica and Greenland and ideally, we don’t want to have to melt them for drinking water. 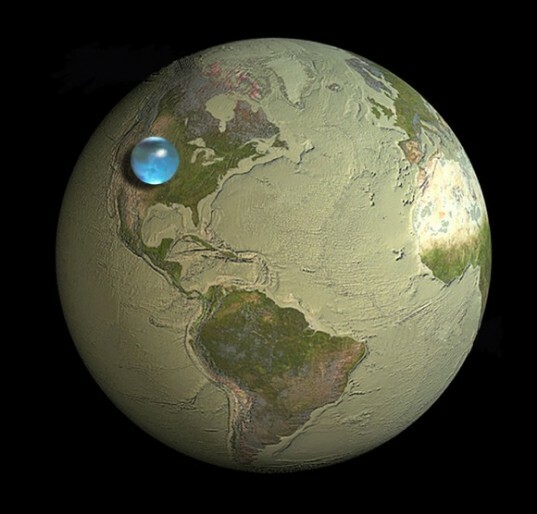 While the lead image, which was made by Jack Cook at the Woods Hole Oceanographic Institution, is shockingly small, it should be noted that all the water on the planet still equates to an impressive 332.5 million cubic miles (1,386 cubic km); a single cubic mile of water equals 1.1 trillion gallons. So there you go, make sure your taps are off, don’t leave the hose on because this Waterworld is not as watery as we previously believed. Read more on the USGS site here, and check out some facts on reducing your water usage here. On that scale, you also could barely FEEL the Alps, the Rockies, or the Himalayas with your finger. Scale, friends. . . I remember a David Attenborough documentary (Planet Earth, BBC) where he compared Earth's atmosphere with the varnish coating on an old wooden globe model. Kinda makes me scared to sneeze, sometimes. As a child, you are told a lot of things about this great planet of ours. We are the third of nine planets in the Solar System (now eight and one dwarf planet), Mount Everest is the tallest mountain on the planet, and the Earth's surface is 70% water. With a figure like that, it's easy to assume that water is pretty much an infinite resource. However, according to the U. S. Geological Survey, if you were to take all of the water on the planet (including fresh water, sea water, ground water, water vapor and water inside our bodies), it would only make a sphere 860 miles in diameter. 860 miles!? You can drive that in a day - it's about the distance from Salt Lake City to Topeka, Kansas.